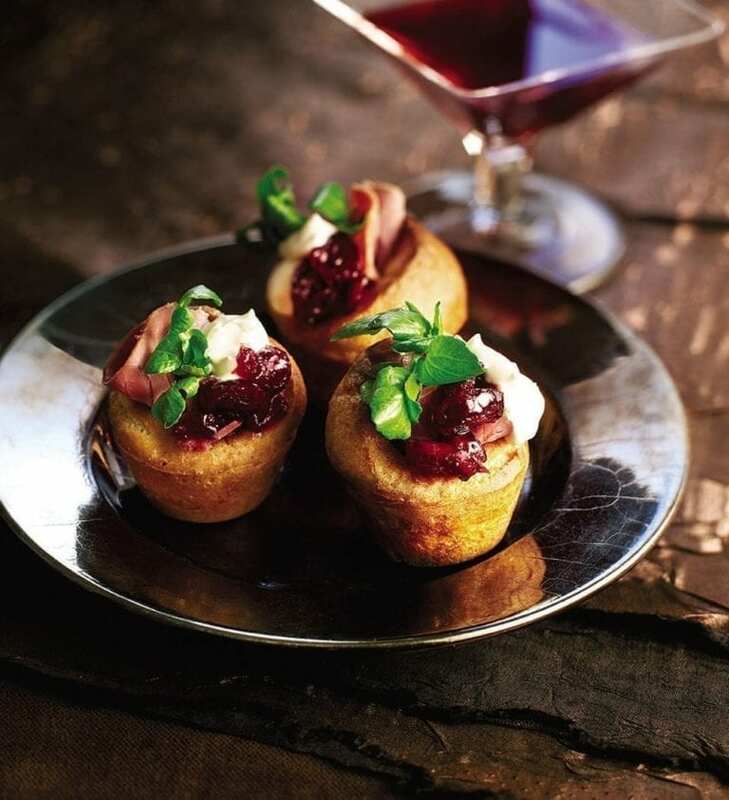 These mini Yorkshire puddings, served with smoked venison, make a scrumptious canapé for a cocktail or dinner party. Preheat the oven to 230°C/fan210°C/gas 8. Put ½ teaspoon of oil into each hole of 2 x 12-hole mini muffin tins and put in the oven. Combine the milk, 120ml water and the eggs in a jug. Sift the flour into a bowl with a pinch of salt and gradually whisk in the milk mixture to form a smooth batter. Pour enough batter into the tins to come two-thirds of the way up each hole, then return to the oven, without opening the oven door, for 15 minutes, until risen and golden. Fill each Yorkshire with a curl of smoked venison, a dab of cranberry sauce, a splodge of crème fraîche and a watercress sprig.